← Are you still using margarine? Oh yeah! It’s chip week!! One thing we Brits can do well is a chip. The problem is we have to endure them fried in vegetable oils that have been heated and cooled over and over and over again and that’s just not any good at all. You can read all about that in my previous Heart Health Blog. 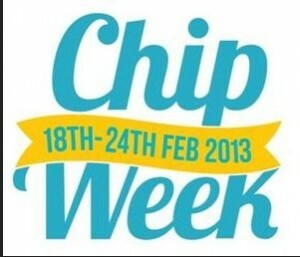 So, how should you cook a chip or two in honour of this week? Easy — like your Granny used to. In beef dripping or lard. Chunky cut potatoes, shallow fried in lard, dripping or for the vegetarians – coconut oil. Alternatively you can roast them in the oven in the same way. Go ahead and enjoy a chip meal this week!